Nigel (Avening, United Kingdom) on 11 August 2012 in Landscape & Rural and Portfolio. A very beautiful country landscape, I love the colors. A nice photo. Sehr schön mit dem Mohnfeld im Vordergrund. Beautiful country landscape, well composed with this red flowery foreground. Amazing this perfectly composed landscape. Where is it? Magnifique ! A painting ! Magnifique tableau bucolique, un véritable Manet. Bonne journée. The sea of red petals is a beautiful component of this sweet view. This looks like a beautiful painting. The carpet of red in the front, the rising steeple in the middle and the sky and peek of mountains in the distance. wonderfully composed and framed. Ce clocher qui sort tout juste du champ crée une belle image. I love this. Such a wonderful red. And the church steeple is perfect. 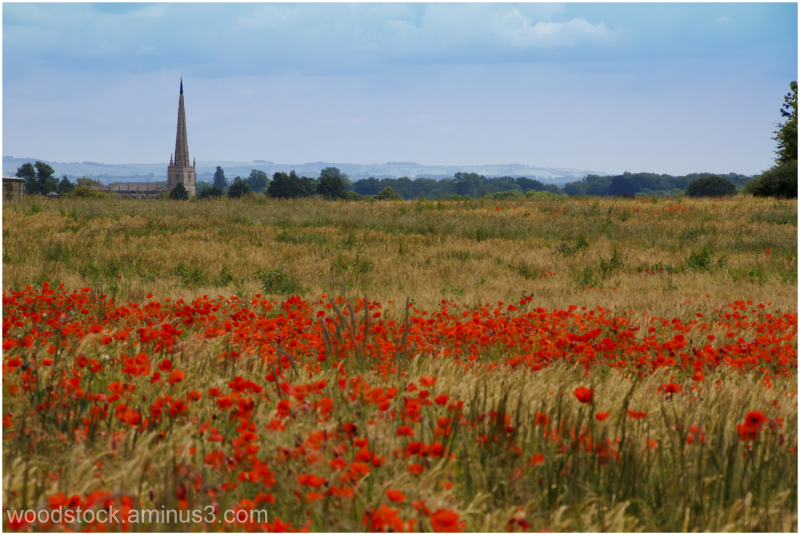 A beautiful composition, it just flows nicely from the red poppies back to the soft blue sky... a most pleasing view!! Gorgeous! This looks like a painting. This looks like a painting! Beautiful landscape with the church steeple in the distance. Nicely balanced. An amazing scene captured ~ really beautiful! Now that is a particularly good shot, the foreground is just terrific. Lovely capture...forefront is very nice indeed..